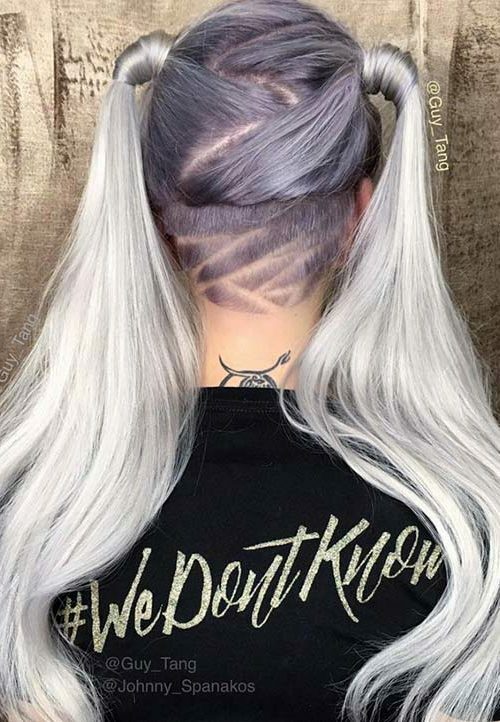 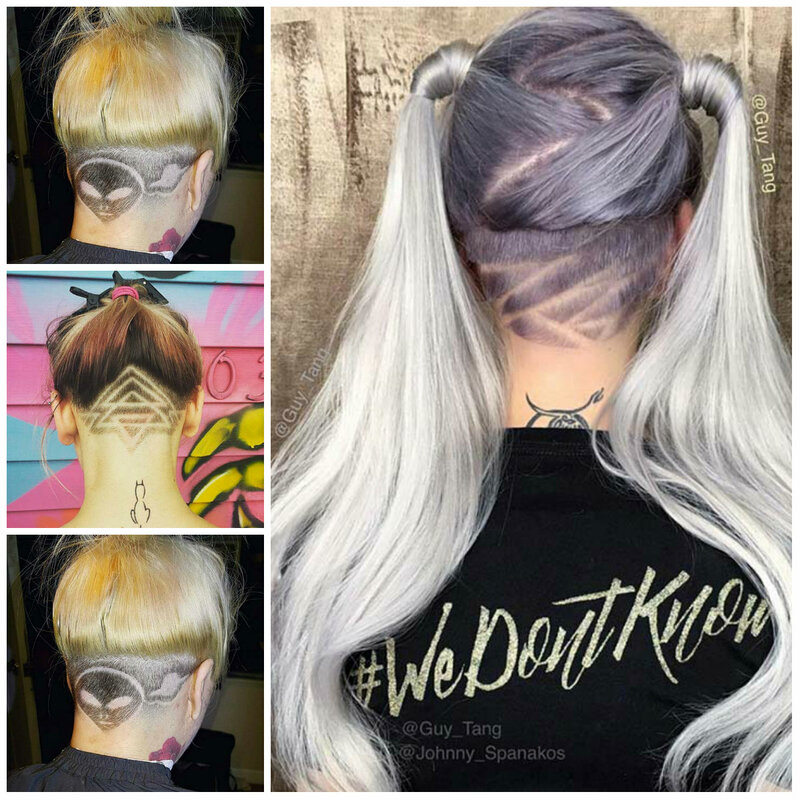 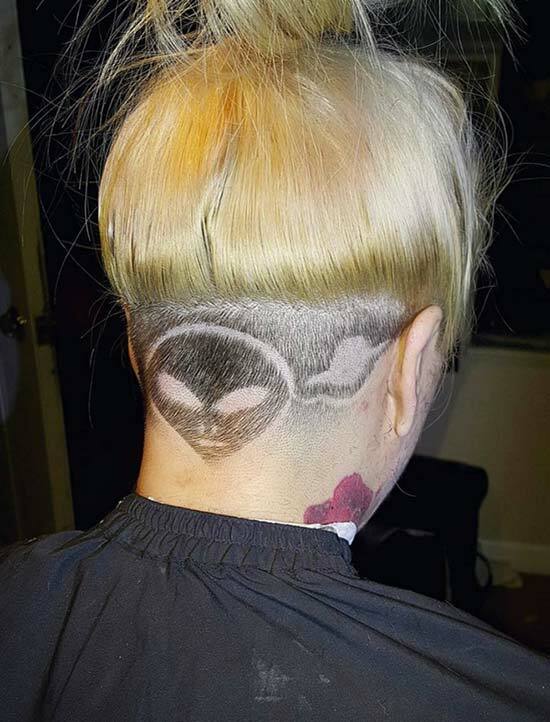 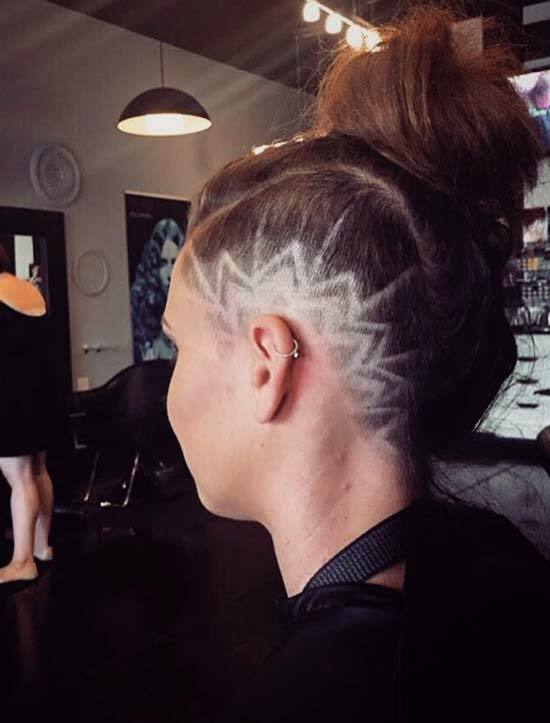 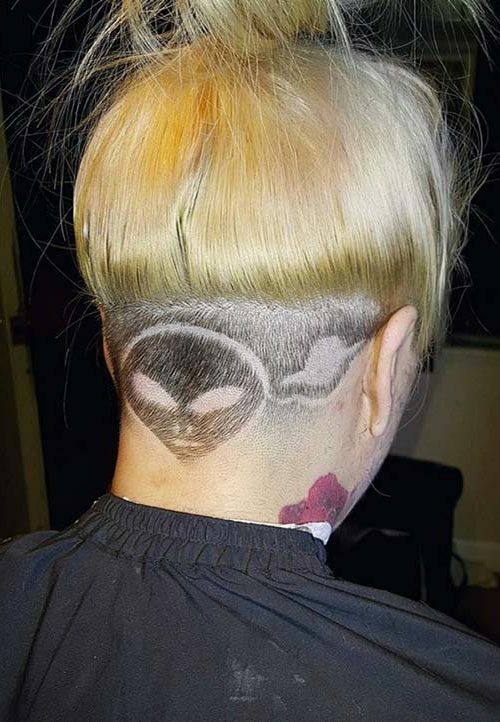 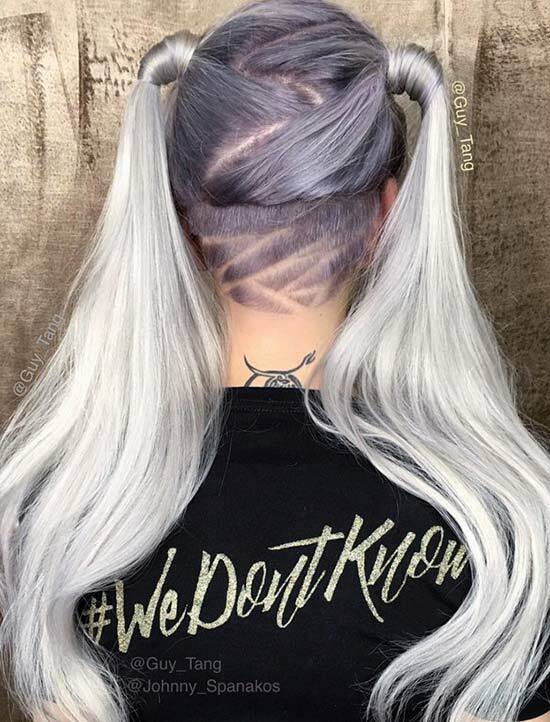 If you have always wanted to go for lined undercut hair tattoos then this option can be pretty inspiring for you. 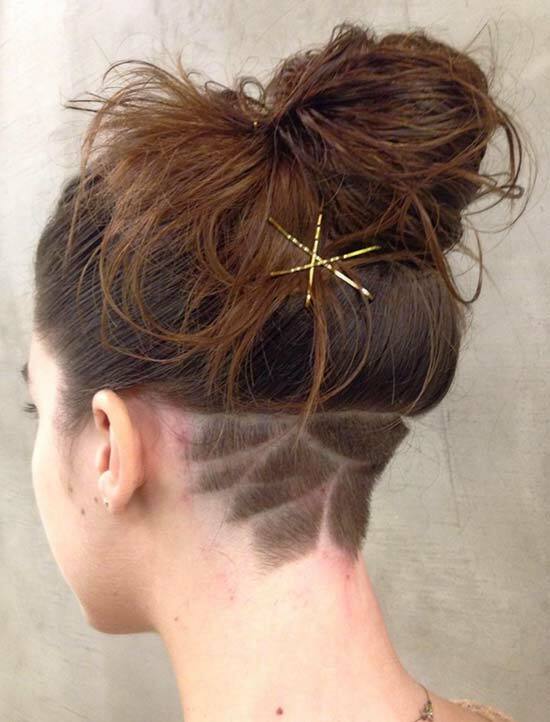 The strands have been pulled up to create a complex look. 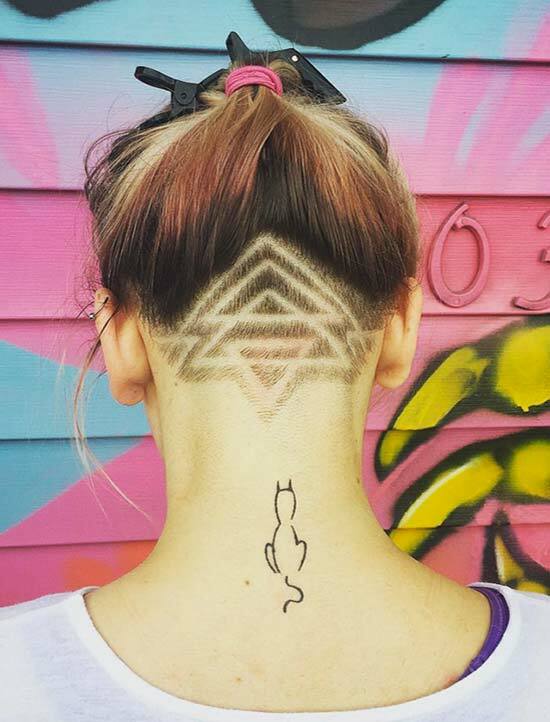 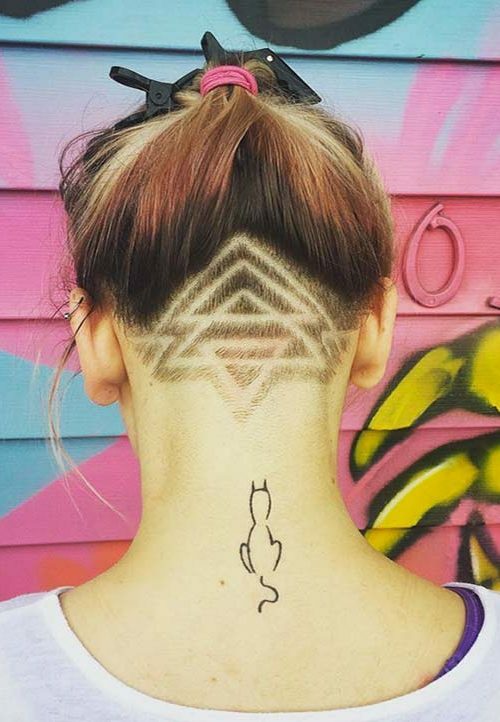 It is a fantastic undercut triangular hair tattoo that will definitely accessorize the nape of your neck. 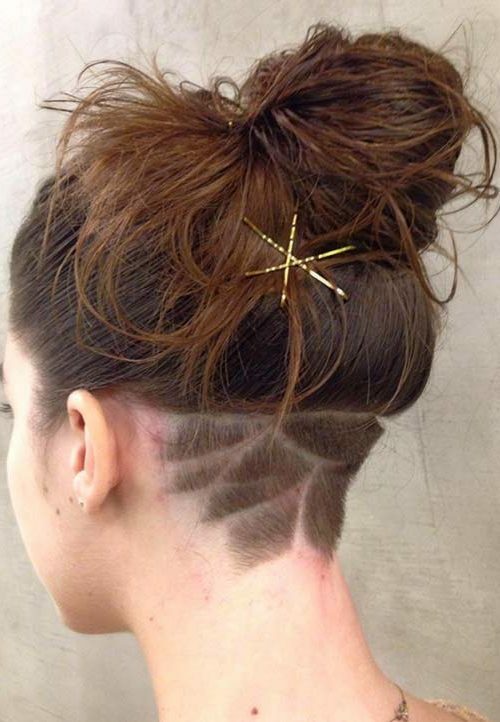 This style looks even better when you have ombred hair.